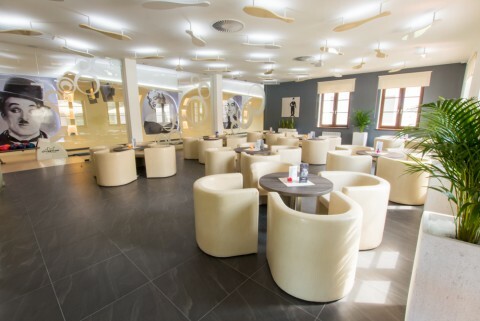 The Charlie Chaplin-style Café is located in the immediate vicinity of the hotel and offers a space for guests enjoying the outdoor heated pool. It serves mainly for a relaxation and rest. 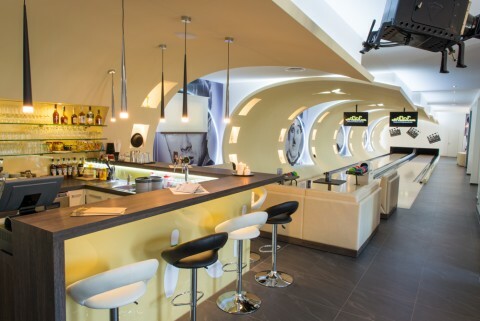 In addition to excellent coffee and delicious drinks, the guests can play bowling, billiards or Russian skittles. Within the complex, there is a conference room with a capacity for 40 people with complete technical equipment. We can arrange refreshments for a company seminars or trainings. 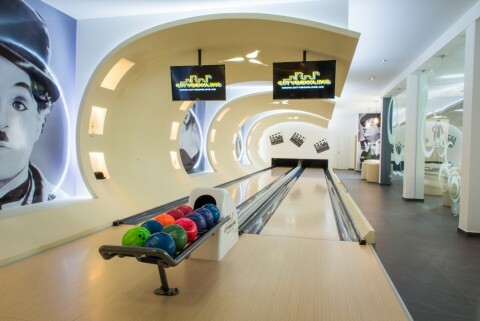 If you are interested in bowling, organizing seminars, company or family celebrations, we are happy to adjust the opening hours according to your needs. Please, do not hesitate to contact us.